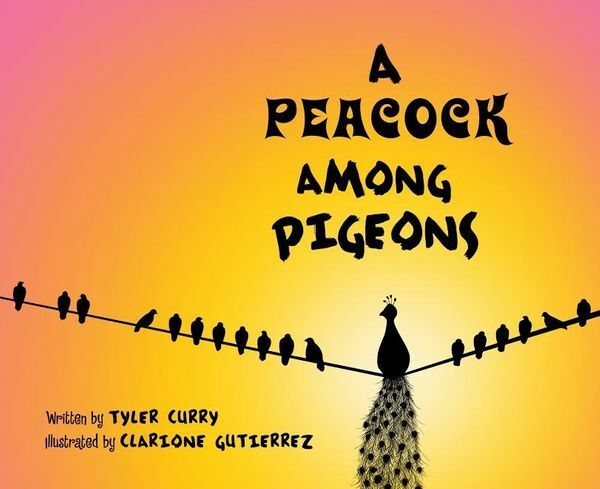 Journalist Tyler Curry is making his first foray into children’s literature with A Peacock Among Pigeons, a charming picture book with a very mature message. 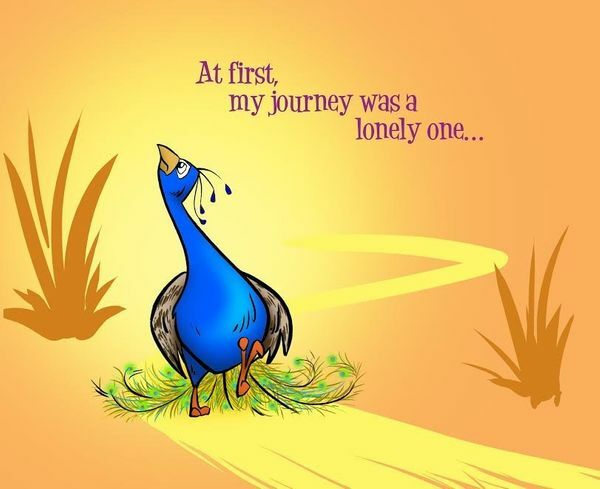 The book, which arrives in stores next month but is already available for purchase here, follows Peter, a peacock who is ostracized from a flock of pigeons in which he was raised because of his bright feathers and seemingly proud strut. 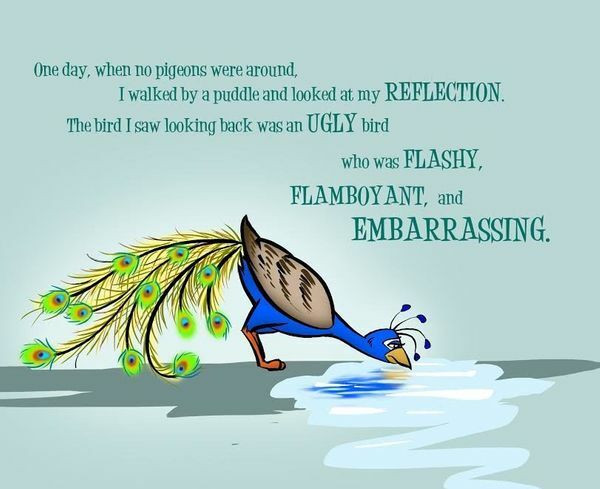 It isn’t until Peter ventures beyond the flock and is introduced to other colorful, unique birds — including a canary, a flamingo and a cardinal — that he learns to “love the feathers” he was born with, even if he doesn’t quite fit in. 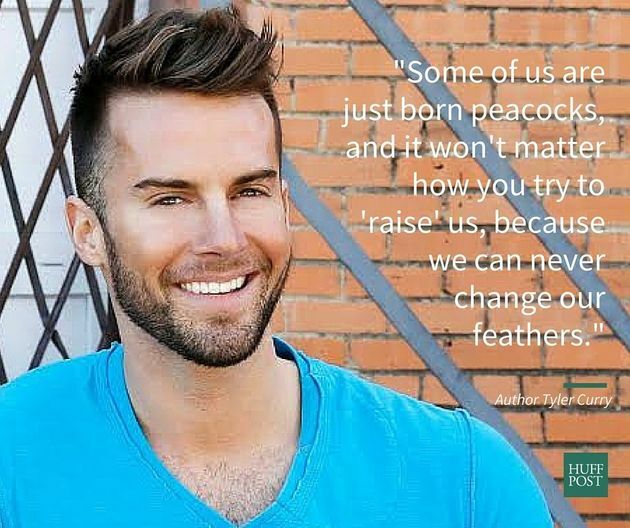 Curry, who is the senior editor of the online publication HIV Equal and has written for Out magazine, The Advocate and HuffPost Gay Voices, had dreamt of writing a children’s book that drew on his own coming out for years. 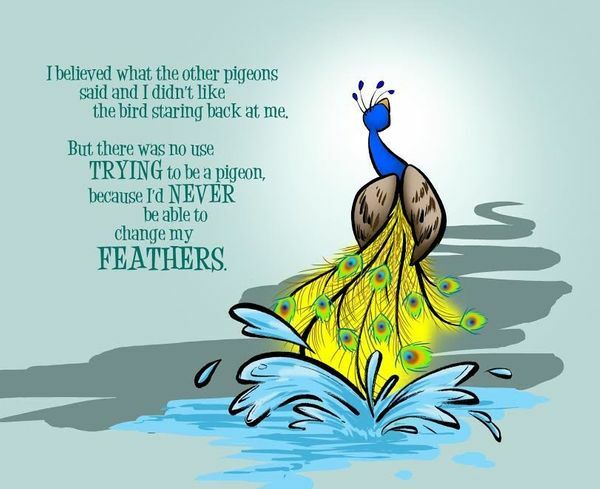 Collaborating with illustrator Clarione Gutierrez, Curry began developing A Peacock Among Pigeons after reading an interview with actor Russell Tovey, in which the openly gay “Looking” star made controversial remarksabout “effeminate” men, in The Guardian earlier this year. 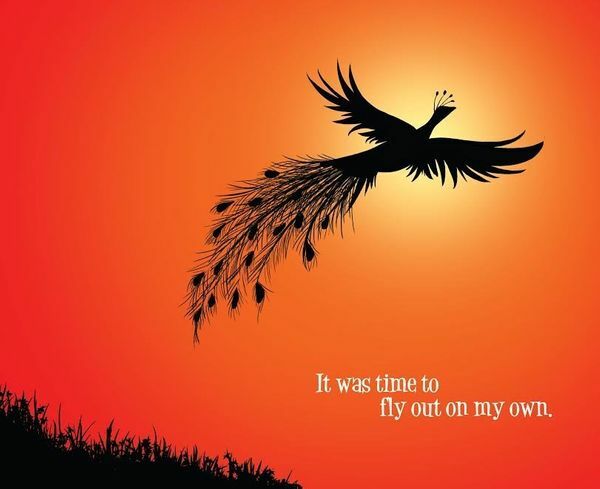 While Peter’s path to avian acceptance echoes that of the titular character in Hans Christian Andersen’s 1843 fairy tale, The Ugly Duckling, Curry says there’s a key difference. 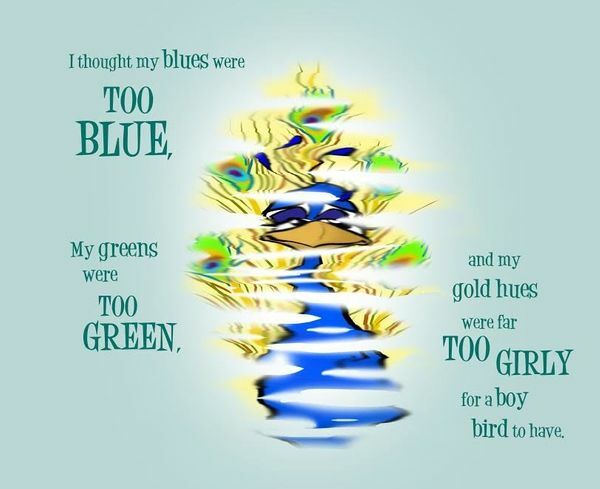 A Peacock Among Pigeons hits bookstores Nov. 3. Check out a sneak peek below.